Just 35 minutes southeast of Atlanta, the small, spread out community of Locust Grove, Georgia is dedicated to the preservation of its rich and diverse heritage, as well as to the stewardship of its vast natural and cultural resources. 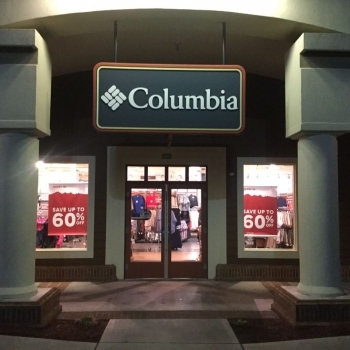 With values like that, it's well suited as a place to call home to a Columbia store. Columbia has been creating innovative apparel, footwear, accessories and equipment for outdoor enthusiasts since 1938. Columbia has become a leading global brand by channeling the company’s passion for the outdoors and innovative spirit into technologies and performance products that keep people warm, dry, cool and protected year-round.